Browse through our extensive listings of commercial villas in Phnom Penh, Siem Reap, and throughout Cambodia. A Commercial villa is built as a family house and converted into commercial space for profit generating purposes. It is rented or leased long term to companies or organizations. It is used as offices or even satellite headquarters. 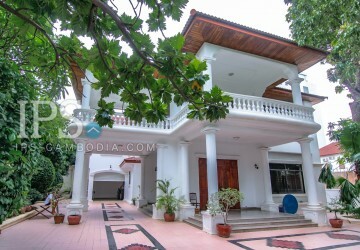 Villas in Cambodia is generally characterized by the temple-shaped roof, large covered balconies, large glass windows, open-plan living space, Khmer inspired floor tiles, a staircase leading to the upper floors and a large parking space in the front. Cambodia traces its architectural influences from periods of the French Colonization, the New Khmer Architecture and the Modern Architectural Movement. The country is under the French rule between 1864 to 1953. This resulted in many structures built with roofs shaped like pyramids and large overhanging eaves. Also noticeable with these structures are the porches wrapped around the buildings. 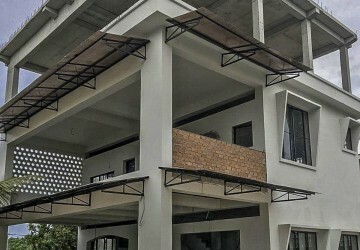 New Khmer Architecture started the use of concrete and steel, using Cambodian design merged with modern elements and building materials. It is at this point in history that Phnom Penh was dubbed as the “Pearl of the East” due to its architectural structures resembling the buildings in Paris. The Modern Movement is where the trend of using reinforced concrete and steel was started. Elements of the design are adapted to the country’s tropical climate. 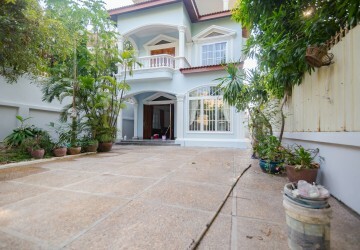 Typical villas in Cambodia have raised columns and an open plan layout to provide shade for family gatherings. Other characteristics include double walls, wall panels and the VVV-shaped roofs that create a cooling effect. Covered balconies and large windows are also added for natural ventilation. 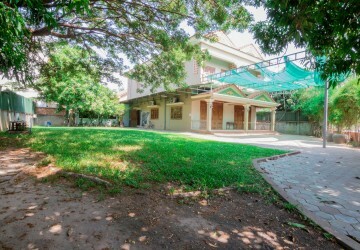 These villas were previously used by the elite in Cambodia’s society. The large space provides enough space for socialization and family gatherings. 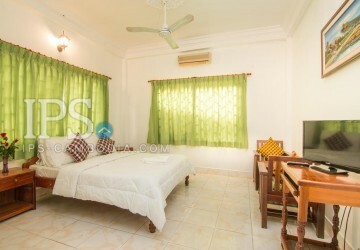 The extra bedrooms are allotted for extended family setup typical in many Asian countries. Most houses prior to the Khmer Rouge era are large villas with 3 or more large bedrooms and large open living rooms. During the war, these villas are converted into offices by government officials and organizations that provide assistance to the country. After the war, their use became commercial. 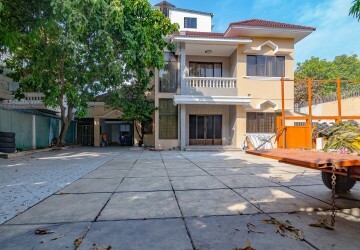 Commercial Villas in Cambodia is very common, even at present. Large houses built as residential properties are converted into offices, restaurants, schools, clinics, hotels and other types of commercial space. These villas are characterized by large rooms, balconies, VVV-shaped roofs and a Buddhist altar near the front of the property. Currently, Phnom Penh and Siem Reap have the most number of commercial villas available for rent and sale. Kep was once an affluent province dotted with beautiful French villas used as accommodations for the elite. But the war had ravaged most of these structures and very few, if any, had been rebuilt back to its former glory. Phnom Penh is the economic hub of the country. The streets of the city are dotted with these large villas that had been converted to commercial establishments. Siem Reap has an old world charm. Family owned villas had been converted to offices, guesthouses, international schools, hostels, and boutique hotels. These spaces are in demand for expats and businesses catering to the tourism industry. 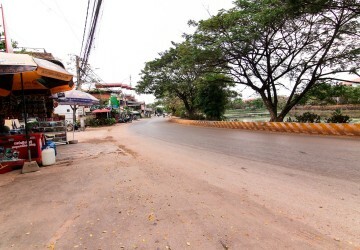 Kandal is part of greater Phnom Penh and is still inside the commercial business district. This area offers similar types of commercial villas that can be used for commercial purposes. 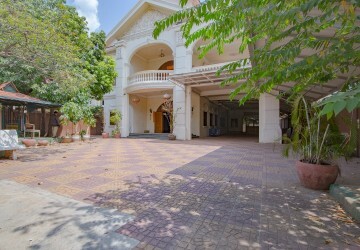 Battambang province has villas that are converted to schools, retails shops and government offices. Sihanoukville also has quite a number of commercial buildings, although it is slowly being replaced by commercial buildings and condominiums in the last few years. 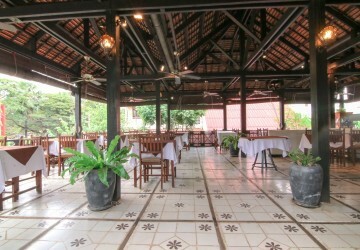 Kep has original villas rebuilt as hostels and guesthouses. Other provinces have commercial villas in the business districts or near the markets amidst all the other business establishments. They are rebuilt and used as retail stores, schools, restaurants, cafes and satellite offices for International and Non-Government organizations. Commercial villas are more expensive than commercial buildings. When rented, commercial space can range from $15 per sq.m. When renting a commercial villa, the price can range from $2000 and above, depending on the number of rooms and actual land size. However, this type of property is ideal for businesses, companies or offices that require a lot of space such as schools, restaurants, Non-Government organizations that cater to large groups and International Embassies. Depending on the amount of space required, the quality of fixtures and furniture and the location, these commercial spaces offers a type of real estate that embraces both the conveniences of the modern world and the old world charm and history of the country.